Is Mirati Therapeutics, Inc. (MRTX) Going to Burn These Hedge Funds? There are several ways to beat the market, and investing in small cap stocks has historically been one of them. We like to improve the odds of beating the market further by examining what famous hedge fund operators such as Carl Icahn and George Soros think. Those hedge fund operators make billions of dollars each year by hiring the best and the brightest to do research on stocks, including small cap stocks that big brokerage houses simply don’t cover. Because of Carl Icahn and other successful funds’ exemplary historical records, we pay attention to their small cap picks. 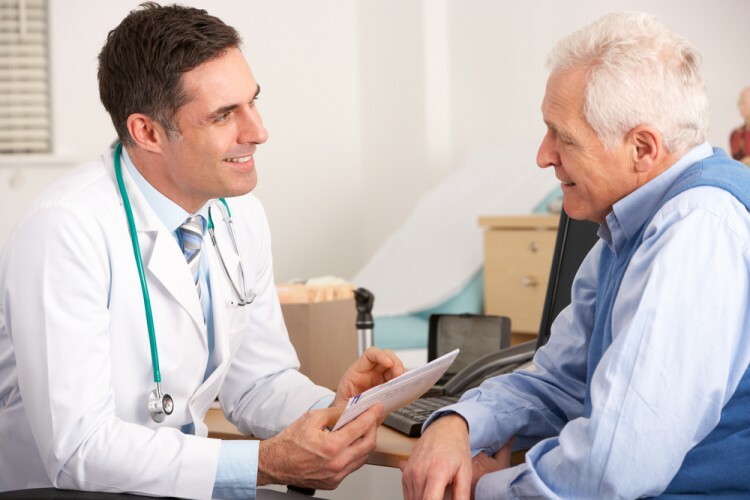 In this article, we use hedge fund filing data to analyze Mirati Therapeutics, Inc. (NASDAQ:MRTX) . Is Mirati Therapeutics, Inc. (NASDAQ:MRTX) the right investment to pursue these days? The smart money is surely becoming more confident. The number of bullish hedge fund positions grew by 3 recently. 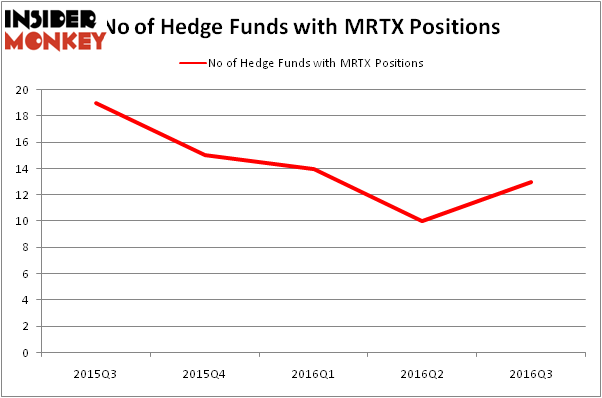 MRTX was in 13 hedge funds’ portfolios at the end of the third quarter of 2016. There were 10 hedge funds in our database with MRTX holdings at the end of the previous quarter. At the end of this article we will also compare MRTX to other stocks including Core Molding Technologies, Inc. (NYSEAMEX:CMT), DHX Media Ltd (USA) (NASDAQ:DHXM), and Corindus Vascular Robotics Inc (NYSEMKT:CVRS) to get a better sense of its popularity. At Q3’s end, a total of 13 of the hedge funds tracked by Insider Monkey held long positions in this stock, a rise of 30% from the second quarter of 2016. Below, you can check out the change in hedge fund sentiment towards MRTX over the last 5 quarters. So, let’s check out which hedge funds were among the top holders of the stock and which hedge funds were making big moves. According to publicly available hedge fund and institutional investor holdings data compiled by Insider Monkey, Baker Bros. Advisors, led by Julian Baker and Felix Baker, holds the number one position in Mirati Therapeutics, Inc. (NASDAQ:MRTX). Baker Bros. Advisors has a $15 million position in the stock. The second most bullish fund manager is venBio Select Advisor, led by Behzad Aghazadeh, which holds a $9.8 million position; the fund has 1.7% of its 13F portfolio invested in the stock. Some other professional money managers that are bullish consist of Kevin Kotler’s Broadfin Capital, Ken Greenberg and David Kim’s Ghost Tree Capital and Jeffrey Jay and David Kroin’s Great Point Partners. We should note that none of these hedge funds are among our list of the 100 best performing hedge funds which is based on the performance of their 13F long positions in non-microcap stocks. Hedge Funds Don’t Think Very Highly of Annaly Capital Management, Inc... Is Liberty Sirius XM Group (LSXMK) A Good Stock To Buy? Hedge Funds Are Still Buying Novanta Inc (USA) (NOVT) Is Northstar Realty Europe Corp (NRE) Going to Burn These Hedge Funds? Is Nordic American Tanker Ltd (NAT) A Good Stock to Buy? Should You Avoid Nationstar Mortgage Holdings Inc (NSM)?